We would like to take this opportunity to say a huge thank-you for all your help in making our wedding day in the lovely little church of San Pietro perfect. All the planning/organising was made so much easier through contact with you by email, and we received very prompt response and good advise when booking everything (church/priest, hotel, hairdresser, flowers, reception, etc.) We would also like to thank Laura who helped with our initial enquires, and Loredana who was on hand on the big day to co-ordinate everything. Everything was just as we had hoped. The ceremony was lovely with Don Mario taking the ceremony in English, the organist playing and the beautiful roses on the altar and pews. The photographer and videographer were both very professional (and extremely enthusiastic!) Everyone has commented on how professional the photos look, and we have all our memories now stored on DVD as well. We were very impressed with the food & service received at the restaurant. Nothing was too much trouble for the staff and our beautiful (and delicious) heart-shaped fresh fruit wedding cake topped everything off! 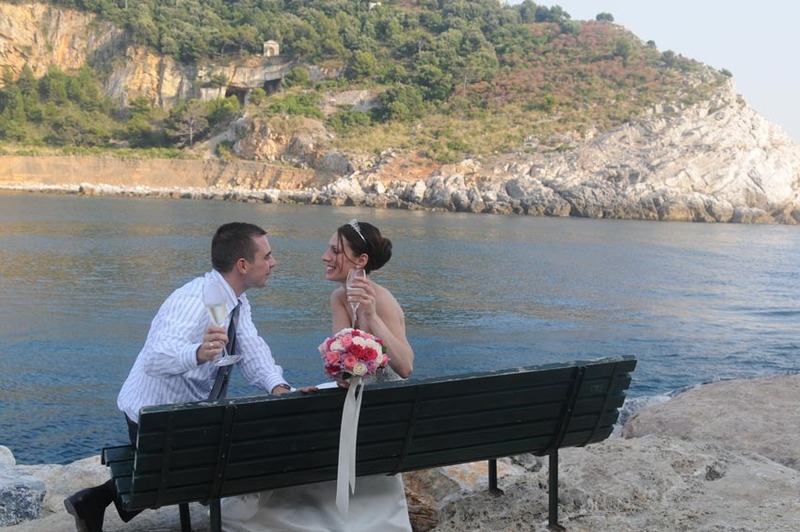 Thank you once again to everyone at Exclusive Italy for making our dream wedding go as smoothly as possible. We only hope that we can return to Portovenere one day!